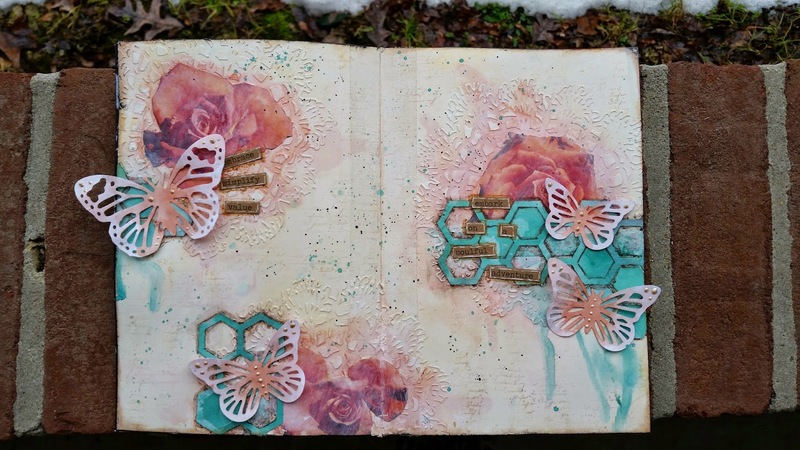 I made this journal page to play along with the monthly color challenge over at the Lindy's Stamp Gang Blog. Click on this link to find out all the details. They give you a color scheme to work with and you make anything with any two or more of those colors. I used 3 colors that match the colors for March. I also made a process video to show how I made this page from start to finish. You art journaling is beautiful! Loved the video! Thank you for joining us at Lindys for the Color Challenge!! Love how the C'est la vie Cerise pops on your spread! Great job! 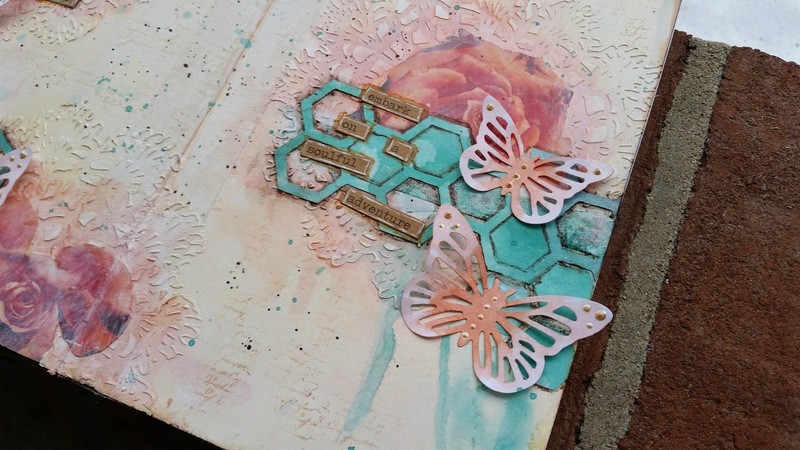 Thanks for joining the Lindy's Stamp Gang challenge this month! beautiful double page ! and the use of colors is spectacular when we see the result ! thank you for playing with Lindy's Stamp Gang ! Sooooo cool pages! I love this idea with butterflies and the color combo! 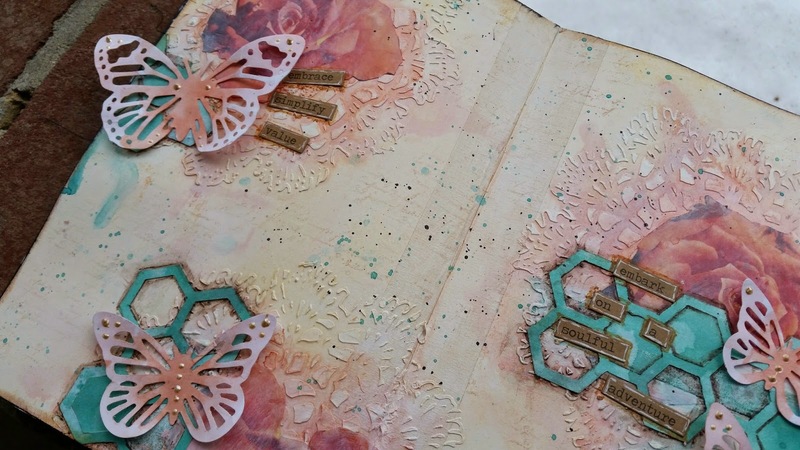 Thanks for joining the Lindy's Stamp Gang Color Challenge this month!